Last year, the plaster ceiling of Park Slope’s Old First Reformed Church, one of the oldest churches in all of New York, started to fall. The church is now doing everything it can to raise $700,000 to replace the ceiling. 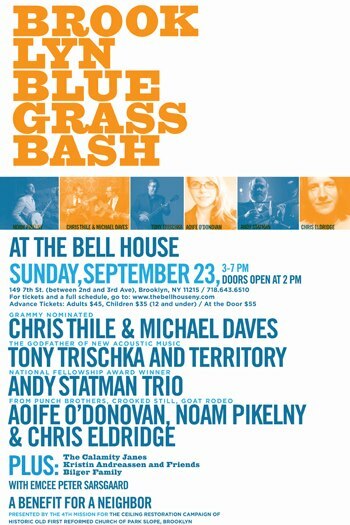 That’s why bluegrass badass Michael Daves, an Old First congregant, is hosting a helpful, hopeful hootenanny this Sunday at The Bell House in Gowanus. 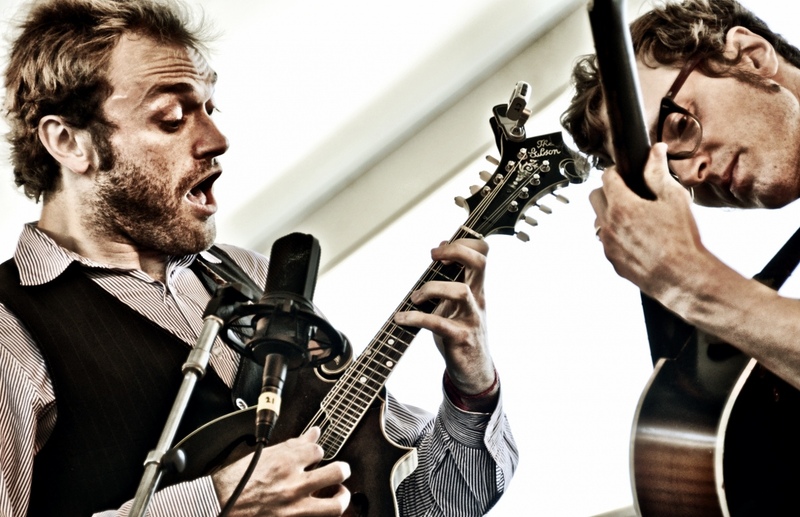 Daves has rounded up a hell of lineup, which includes big name old timers like Tony Trischka and Andy Statman, as well as the younger folks that we like around here – Chris Thile, Noam Pikelny, and Chris Eldridge of the Punch Brothers, Brooklyn’s Aofie O’Donovan of Crooked Still – the busiest girl in bluegrass – and Kristin Andreassen of Uncle Earl, who will bring some friends. Also appearing are our indie girl favorites, The Calamity Janes, and the Bilger Family, Old First’s own bluegrass fam who I’ve seen perform at joint holiday services with my church (I want them to adopt me). And to top it off, Prospect Heights resident Peter Sarrrrrsgaarrrrrd, who I’ve seen getting take out at Bark and greatly respect his choice of chow, will MC the event. The show has a steep price, but it still sold out of all advance tickets the night after a Wall Street Journal story on the church’s struggle. There will be a few tickets at the door, according to the TicketWeb site. I managed to get a ticket (thanks, Jenny), so look for some Instas on my Twitter feed.